Although Muskoka is known as a prime summer destination, experiencing Muskoka in the fall goes unmatched. 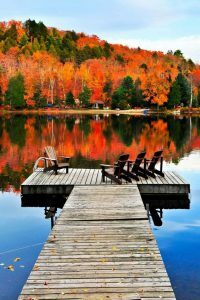 Muskoka offers a wide variety of viewing experiences as the lively forests surrounding the pristine lakes come to life with vibrant colours of red, orange and yellow. Check out these fall driving tours that are bound to have you mesmerized. Visit Discover Muskoka to learn more about these fall tours.